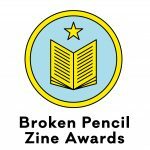 Founded in 2017, Broken Pencil Zine Awards celebrates excellence in independent, underground zine making and micro-printing!  When does it happen? The BP Zine Awards accept submissions of zines starting annually every April 1. The submission period runs until July 1. 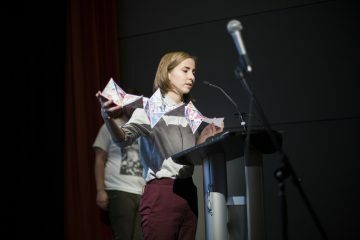 Nominees are announced in August and the awards are handed out in the Fall at the annual Canzine Festival of Zines and Underground Culture in Toronto. Why have a zine awards? The goal of Broken Pencil is to raise awareness of the possibilities of independent zine publishing. Establishing the only international zine awards raises the profile of zines by generating buzz and excitement. 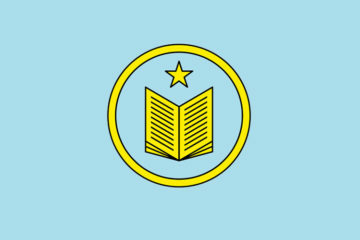 It also rewards committed zine makers and celebrates the craft! 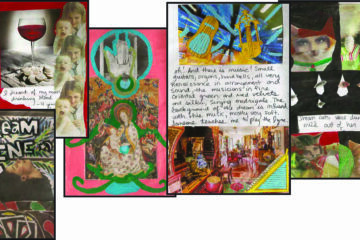 How do zine awards raise the profile of zines? We celebrate the zine awards by promoting the winners and nominees far and wide to as many media outlets as possible. We also offer zine awards displays to participating libraries and retail stores. We do everything we can think of to make sure people know who are nominees and winners are, and in this way we keep zines in the public eye and reach new audiences for zines and indie publishing. Who are the judges? Every year we pick a diverse group of judges with proven greatness in making micro-publications! Our judges have been active participants in zine culture for at least 5 years and have a track record of substantive contributions to the zine culture community. What do the winners get? They get a cash prize, a gorgeous trophy, the chance to attend our awards ceremony, a profile and excerpt in Broken Pencil magazine and on BP.com. 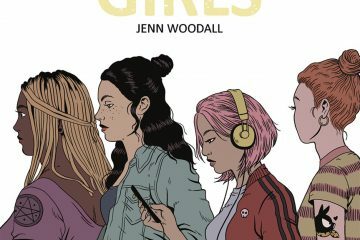 They also get the opportunity to sell their zine online in our store, and at zine festivals, retail outlets and libraries as part of our zine awards winners displays. Sounds great, how can I help? 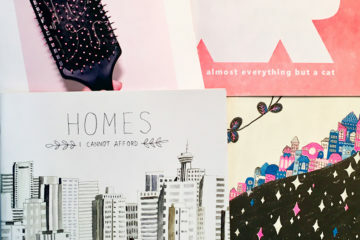 First, why not make a zine and enter the Zine Awards? Second, you can help spread the word about the zine awards during the submission period. 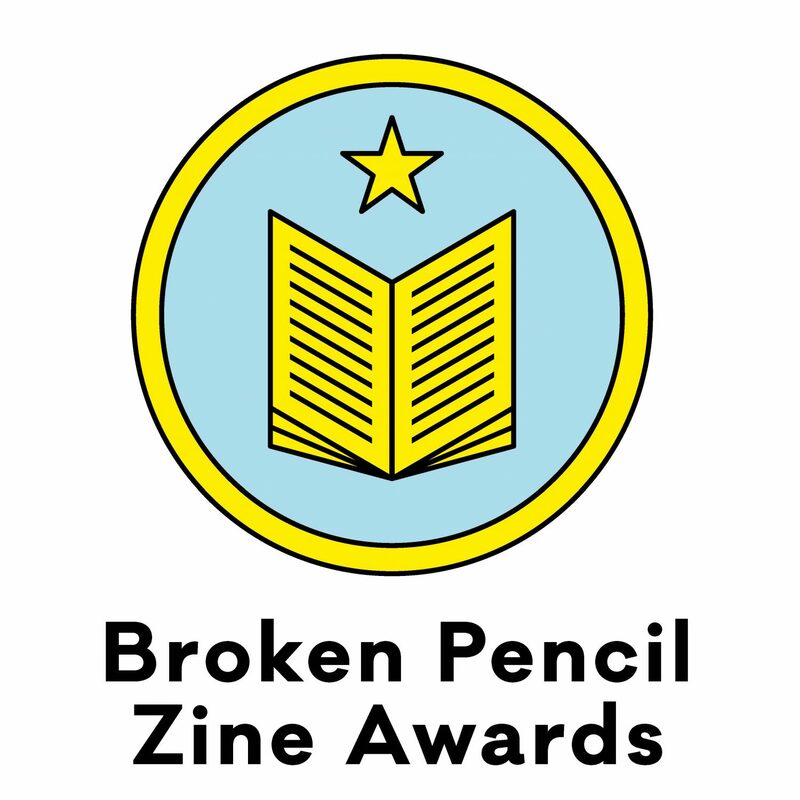 Send an email to bpzineawards@brokenpencil.com if you would like “Enter the Zine Awards” postcards mailed to you to distribute at zine fairs, local zine making groups, zine-friendly stores etc. You can also download social media friendly sized images to post on your pages to help spread the word. Finally, if you know a zine-friendly store or a local library that would like to display/sell the Zine Awards Winners, please send them our way! Okay, so that’s it. Questions can be sent to bpzineawards@brokenpencil.com. Check out our step by step guide about how to enter the contest.